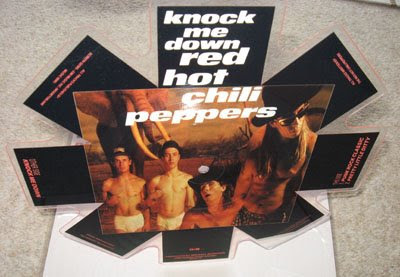 I’ve been fishing through my old record collection again today and look at the gem I found: a Red Hot Chili Peppers shaped picture disc for the single ‘Knock Me Down’. I'm not bigger than life." The lyrics are written in reference to the saying, "high and mighty." 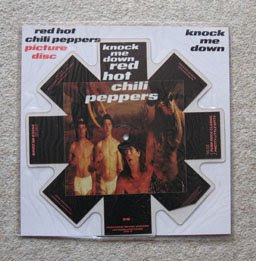 I not only love the shape of this record, I also love the way Punk Rock Classic ends with the guitar solo from Guns N Roses’ Sweet Child O Mine. 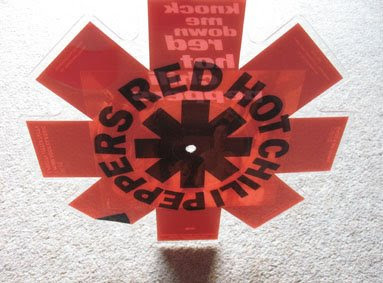 I used to have fun messing around with the speeds of the record player on that part, amazingly, the record isn’t scratched. Random Fact: The song is included in the music rhythm game Guitar Hero: On Tour for the Nintendo DS.